Here's a little truth for you: periodically, I have moments of doubt about continuing to do E2TG. It usually gets worse toward the end of the year. Truth is, E2TG takes up a fair amount of my time, and I time is often in limited supply. So, when money gets tight or time gets tight or mercury is in retrograde or whatever, I find myself thinking, maybe now is the time to call it quits. Then comes December and for the last three years the Earie Awards. To me it was just a silly idea and a way to recap the year, but I have found it means something to many of the recipients. and the responses I have gotten have been very affirming of what I do. About the money thing: about four years ago, I took a look at if it would be possible to make E2TG a money-making endeavor. I came to the conclusion that I could not do it and have E2TG be what I want it to be. This is not say that anyone doing what I do who makes money is doing something wrong. Some of my decision was based on my situation. Anyway, the advantage about it not being about money means I can truly do what I want to do. Which is help bring attention to great music - much of which may fly under the radar. Since 2014, there has been more of a local Nashville connection, but I have made a point of also featuring music from all over the world. The fact is, there is likely enough music here in Nashville to sustain a blog, but to me, putting such a limitation would be constricting. Prior to 2014, to be honest, I was not at all connected to the Nashville music community, and E2TG reflected that as the majority of my posts were about non-Nashville bands. Which brings us to the Artists and Bands of the Year award - or like I have dubbed them - the Golden Earies. When E2TG began in May 2011, I had to go out find bands to write about. I would pick one band every week to write about as our "Band of the Week". When the end of 2011 came, I had a list of 30 something Bands of the Week. I got this silly idea to run a "Readers Poll" to select a Band of the Year. It was silly because I honestly didn't have many "Readers" to poll. So, I ran the poll, and people responded. My page views shot up, it was a tight race, but the poll software I used was pretty wide open and there was some definitely ballot stuffing. Anyway, a band from UK The Mobbs were the winner. The Band of the Year as so much fun, I got a better program for running a poll, and I started the Band of the Month poll - this ran for about a year. At the end of 2012, all 12 Bands of the Month plus some Wildcards competed for the Band of the Year. A great Upstate New York band called Skeletons in the Piano won that award. By early 2013, I was burned out on the polls. Basically, I didn't want bands expending energy trying to get fans to vote in a silly poll. So, I stopped the polls. For a while, I had Featured Artists every month. And at the end of 2013, I named then Brooklyn band, The End Men as Band of the Year. 2014 was a year of upheaval in my life and a transition for E2TG. At the end of that year, there was no question that Darrin Bradbury would be Artist of the Year. It was equally obvious in 2015 that Jon Latham was the choice for Artist of the Year. Last year, I expanded the award again to 4 (Bands and Artists of the Year - Nashville and non): Rayvon Pettis and Ladies Gun Club won for Nashville Artist and Band, and Ugggy (of Valued Customer) and The Foresters (won for non-Nashville). Which brings to the present (or recent past). 2018 was a year of unprecedented growth for E2TG in terms of the number of artists and bands we featured. In keeping with our new tradition, for the second year in a row, we have four awards (in the categories explained above and below). There is not one factor that leads me to this decision - rather it is a combination of things. Bark is the duo of Tim and Susan Bauer Lee, who E2TG first met when they formed 2/3 of the band Tim Lee 3. My first exposure to their music came through Couch by Couchwest. Back in 2016, I had Bark - which was then a side-project be a part of the E2TG 5th anniversary show. They blew everyone away. When Tim Lee 3 went on indefinite hiatus, Bark became Tim and Susan's primary outlet. They have released an EP and at the beginning of 2018, they released Year of the Dog, their debut album. They also released a vinyl single on Record Store Day. 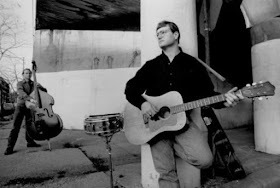 The Lee's are a long-standing and vital part of the growing Knoxville music community, and their roots run deep in the music that I grew up listening to - Neo-Southern rock or whatever. So, I picked them for this year's Band of the Year award for a few reasons, first and foremost, the wonderful music they make, second for being among the best human beings in music, and third because they deserve this award. I like it when I "discover" and artist before most others - think Jon Latham or Darrin Bradbury, that is not the case with Rich Krueger. 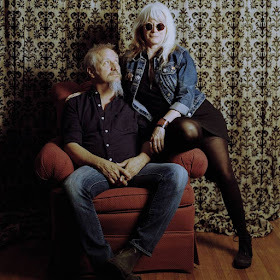 He was named the 2018 Kerrville New Folk Award winner and later in the year, critic Greil Marcus gave Krueger a positive review in Rolling Stone. In my defense, I didn't know any of this when I first heard Rich Krueger's songs. I just knew that I had "discovered" a great songwriter. I have to tell I kind of circular story for a second, back in late 2013, a friend on Facebook said something like, there just aren't great songwriters like their used to be. At the time, I didn't have a counter. I was mostly writing about bands and the sound at the time. Shortly after that, though, I heard Darrin Bradbury's songs and knew that friend (who has great musical tastes by the way) was wrong. I tell that story because Rich Krueger reconfirms for me that their are great songwriters working today. So, Kerrville and Greil Marcus - I have to acknowledge your scoop. Honestly, though, I could not think of a more deserving recipient for 2018 Artist of the Year than Rich Krueger. By a technicality, I can say that I was present when The Big Dumb was born. I went to The 5 Spot a couple of years ago (time is irrelevant) to see a band called The Cult of Javi Jones. I knew Javi Jones (first as Cheetos, then briefly as Sam - but that is another story) mainly through Darrin Bradbury. I didn't know what to expect, but I did expect ir to be at least slightly weird and at least slightly awesome. The show did live up to expectation (not just slightly on either account), but there was also the unexpected, a couple of songs into the set, it was (seemingly on the spot) determined that The Cult of Javi Jones was not a good name of the band, and they would henceforth be known as The Big Dumb. The names seemed random and I wasn't sure if they were serious about the name change, but now eight years later (I said time is relative) the name seems to have stuck, and now they have released their debut EP - We Get Along Too Well under The Big Dumb name. Even before the EP, I had become aware that this was extraordinary band. 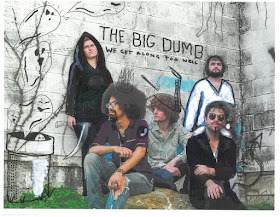 Back June, I asked them to join the E2TG Anniversary residency - along with 2017 E2TG Artist of the Year Rayvon Pettis - for whom The Big Dumb serve as the back-up band. Here is what makes The Big Dumb unique and awesome (and why The Cult of Javi Jones really didn't work as a name for the band): Javi Jones is an amazing songwriter and musician, Anna Joy Harris is an amazing songwriter and musician, Griffin Winton and Stephen Nicholas Roberts (aka Willie Dustice) both won Earie Awards in 2018 for their solo efforts (they are both from McMinnville, Tennessee too which is neither a coincidence or ironic). Daniel Dolive is a great drummer. The band's shows (like their incredible EP Release show last month) showcases all of their songs and talents. But, what is most amazing is the way they bring all their talents and skills and creativity together. Seeing them play, I felt like I could have been watching an early incarnation of a sixties band (maybe even The Band) coming together. 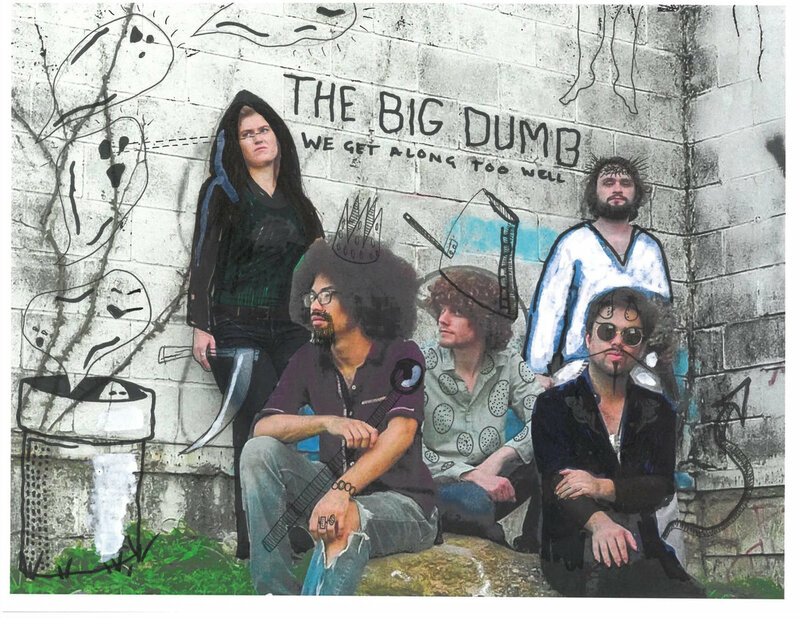 Honestly, I knew from early in the year that The Big Dumb were going to be my Band of the Year for 2018. 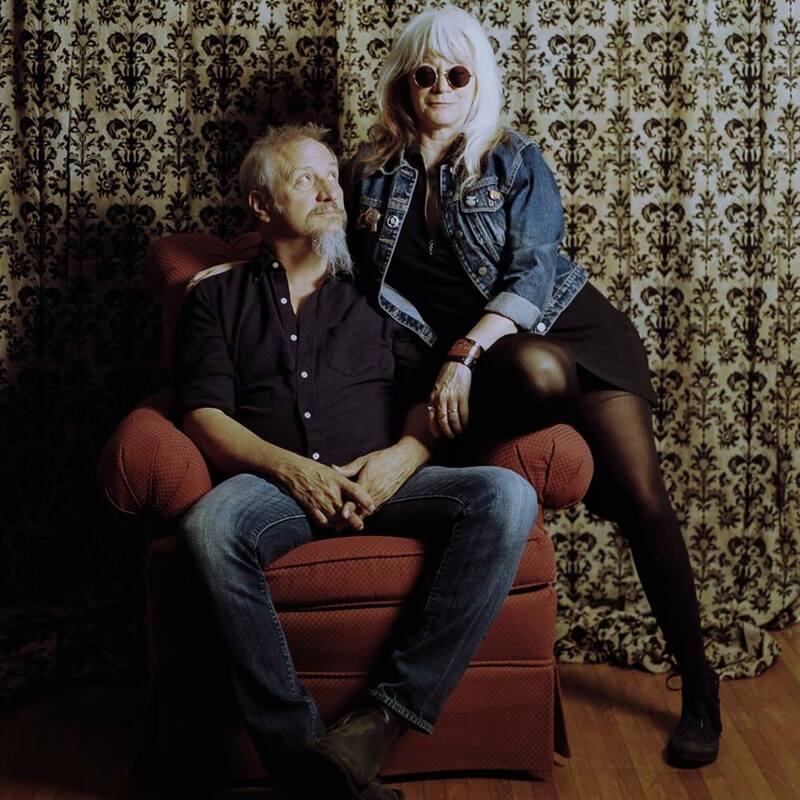 Like Tim and Susan Lee, I was first introduced to the music of Ben de la Cour via Couch by Couchwest, the late lamented on-line music festival. At the time, he was living in New Orleans, and he made a really cool video for the festival - which featured him walking through the streets playing his guitar, climbing stairs and ending up in a room where an audience was gathered and finishing the song before them. It made an impression, and I even added an earlier album and featured it on E2TG. 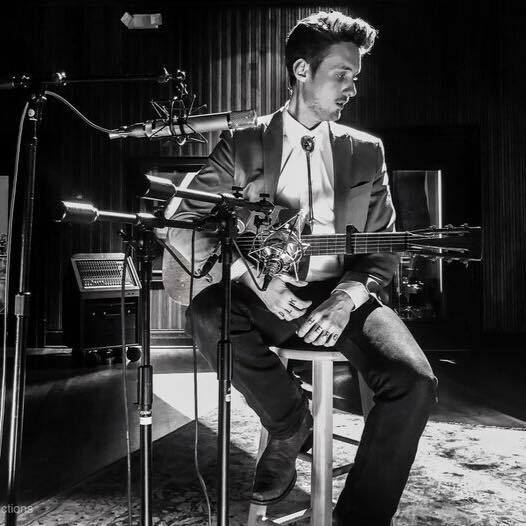 Upon moving to Nashville, he established himself among the Nashville songwriting community. Throughout it all, he has continued to write great songs, tour extensively, and work hard at recording. He featured a video from a previously album at E2TG. 2018 was a breakout year for Ben de la Cour, he released his finest album to date, The High Cost of Living Strange, he toured with the legendary Jon Dee Graham, and he was part of the E2TG Residency in June. Like The Big Dumb, I can say that Ben de la Cour has been an obvious choice for Artist of the Year since early in the year. Like Rich Krueger, Ben de la Cour is a Kerrville New Folk award winner (2017 for Ben). Mostly, though, like all E2TG winners, Ben is one of a kind. So, the idea for this award came from Darrin Bradbury. Darrin and I were talking about the E2TG awards: since winning the Artist of the Year award in 2014, Darrin has taken a proprietary interest in the awards. He lobbied hard for Jon Latham in 2015 (not that lobbying was necessary). He also lobbied for Rayvon Pettis in 2016 (but 2017 seemed the better year for him to win). Anyway, so we were talking and Tim Carroll came up, and Darrin said, "Artist of Forever" or something like that. And it stuck. I am not even sure how long he has been playing every Friday at The 5 Spot - it's a lot. In the time, I have been hanging out in East Nashville, I can recall just two or three time Tim did not play on a Friday night. Patrick Sweany filled in one week, and another time, I showed up to find a sign on the door that there was no Happy Hour. That is two or three times out of over 200 weeks. He is also one of the most prolific songwriters I know. He plays two to two and half hours every Friday - no breaks and all original songs. And he never plays the same set twice. In the last year or so, he has been writing a ton of new songs, and in 2018, he released a new album called Keeping Time - which I think is one of his best. 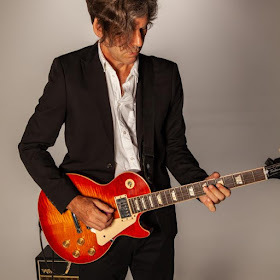 His newer songs tell stories about real people and real situations - they are serious songs which he delivers matter-of-factly backed by his always powerhouse rhythm section and his understated and brilliant guitar playing. And keep in mind, his Friday shows are Happy Hour shows, and he makes these more seriously songs work in that context along side he lighter songs like "Punk Rock Honkytonk Girl" which has been around since his days in New York a couple of decades ago. So, I'm going to close out 2018 officially by awarding Tim Carroll the "Artist for Forever" Award from E2TG. Love the Big Dumb. Said bias dad.